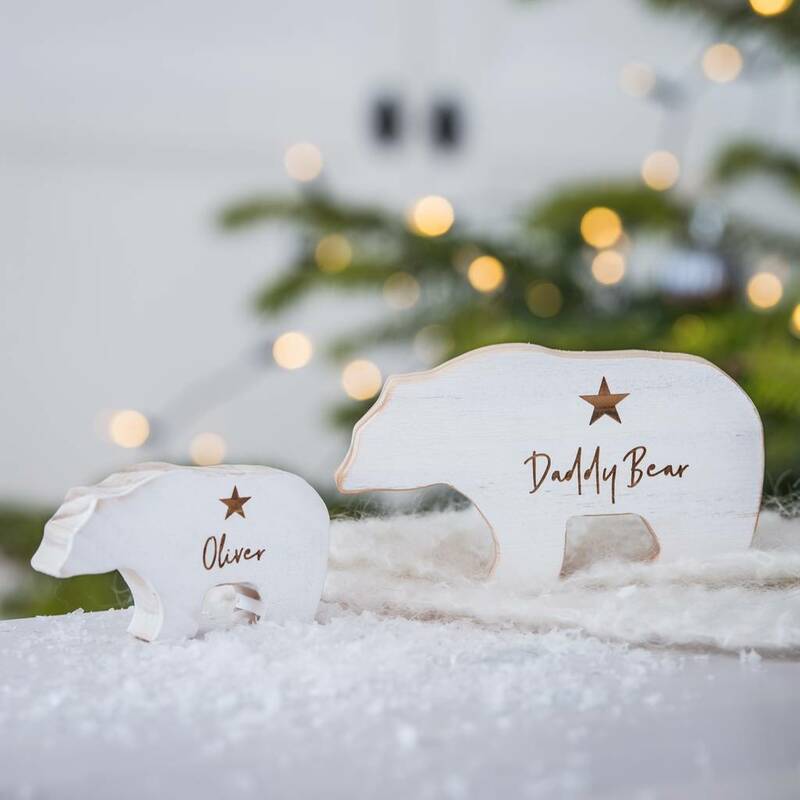 A sweet personalised gift for daddy this Father's Day. 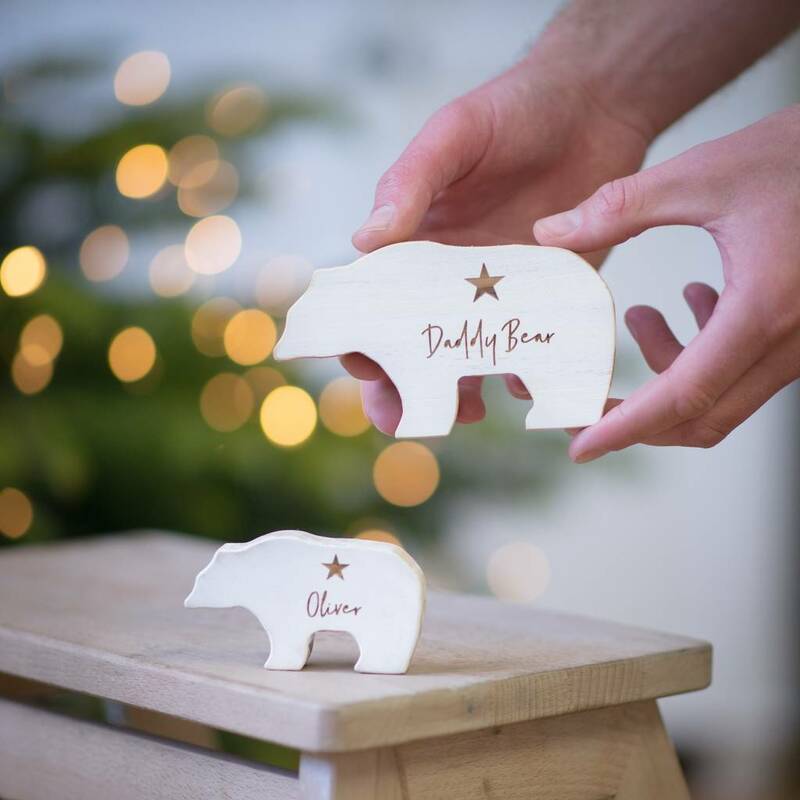 These super cute wooden bears make a lovely keepsake gift for any daddy bear.. 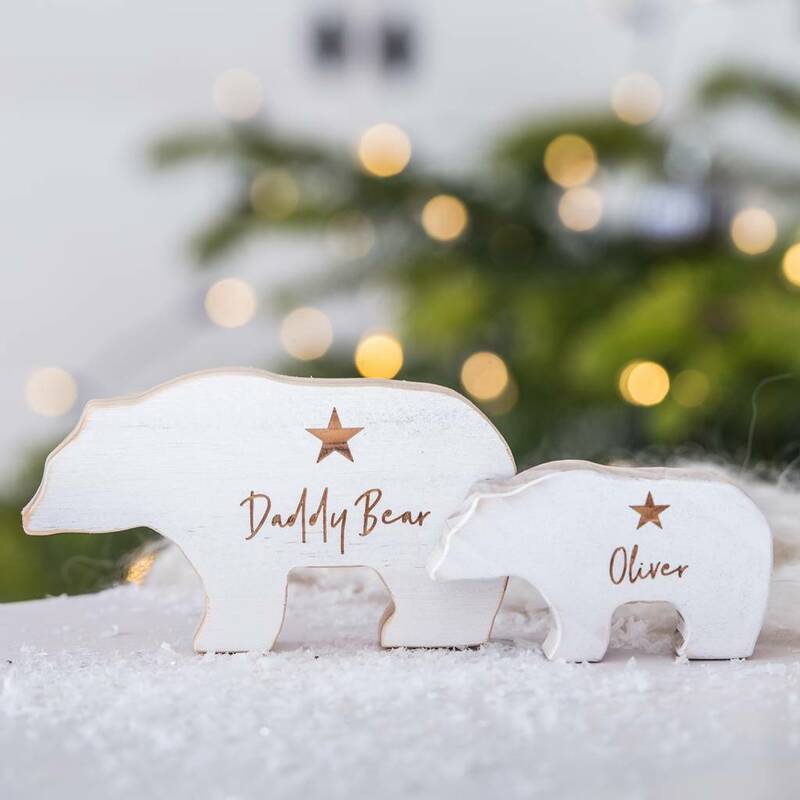 Choose to add an organza bag to your order to make an extra special gift. 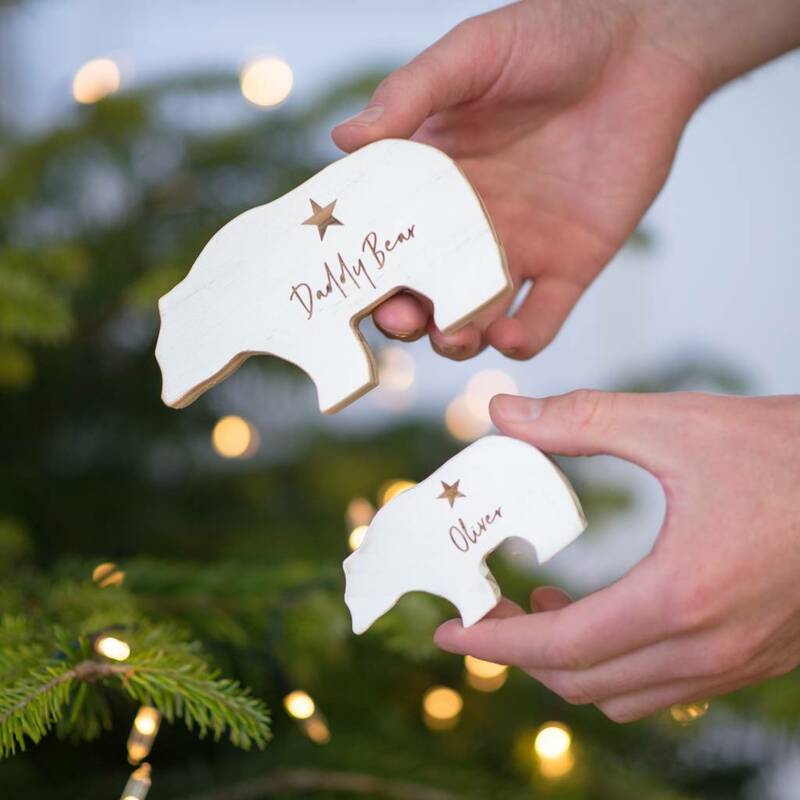 Your personalised wooden bear will be the perfect, thoughtful gift for daddy and is sure to bring smiles.